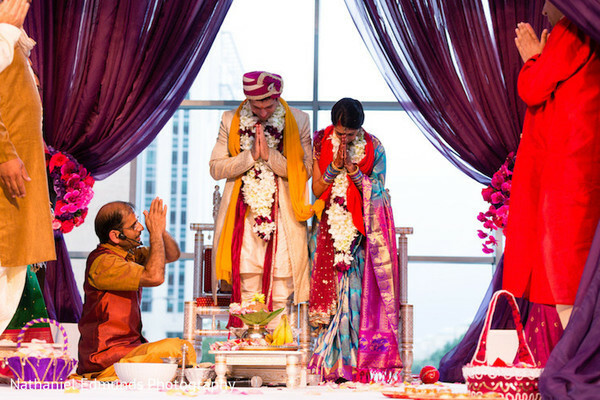 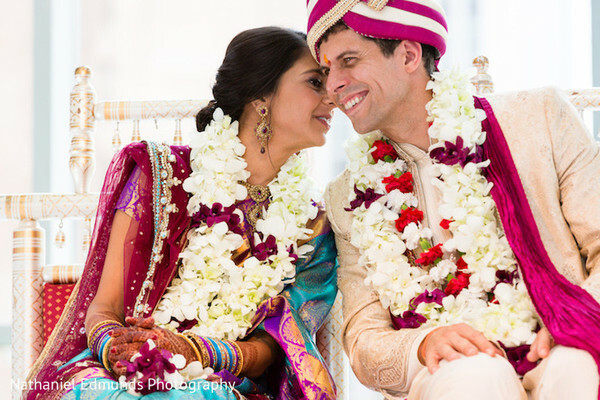 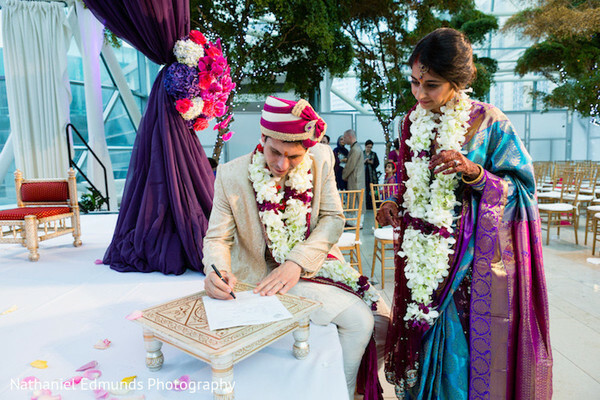 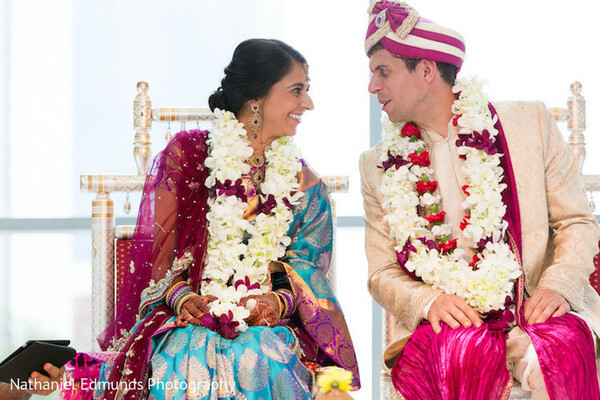 Aradhana and Michael’s Fusion Indian wedding is full to brim with romantic galore and we are elated to share their big day with all of you. 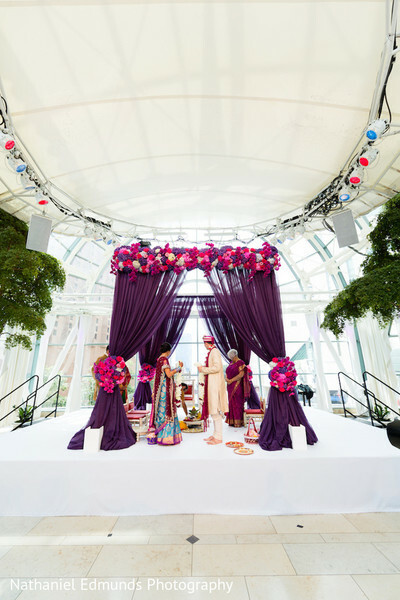 The Arts Garden was flooded with flora and fauna grandeur in hues that just pop off the screen. 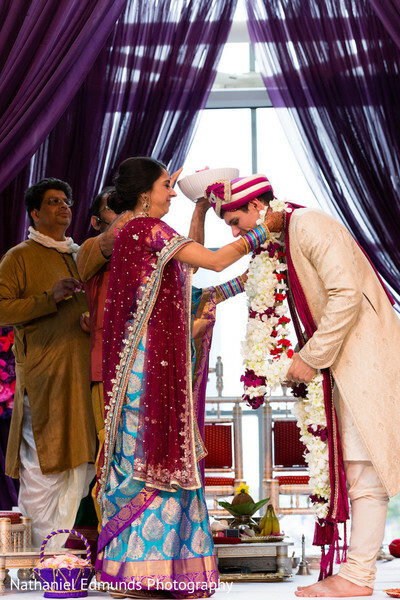 The bride intertwined the colors of the rainbow in a paisley engulfed raw silk sari that was enriched with Bollywood coloration. 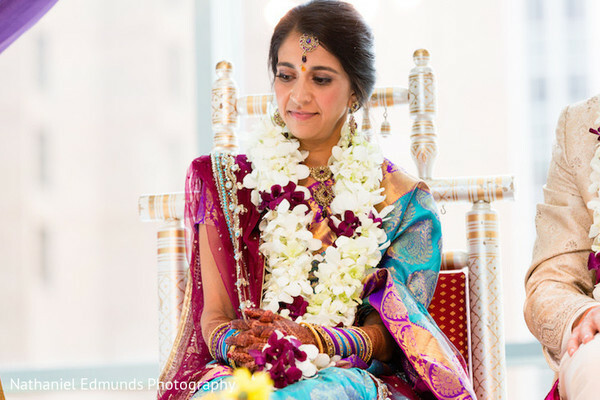 Studio 2000 ensured this bride was glowing in every single snap. 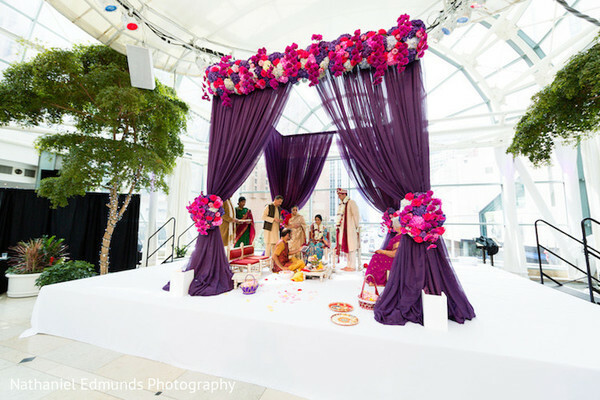 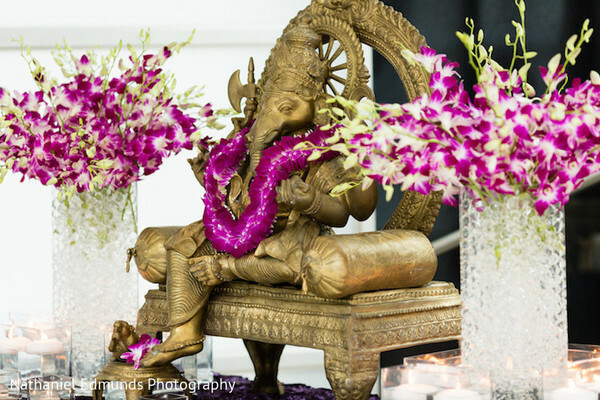 Weddings InStyle brought constructed a monarchial mandap complete with floral arrangements in a spring color palette tacked on the sides and ceiling. 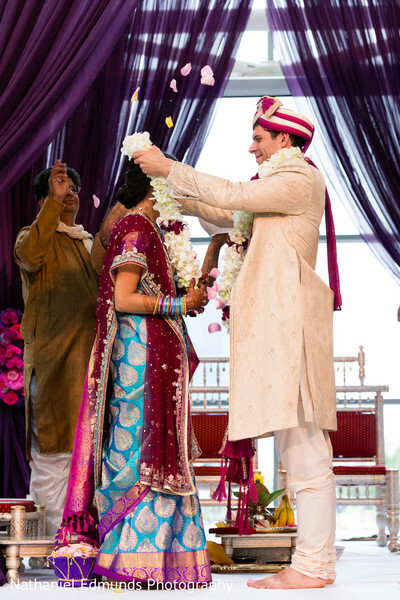 The wedding reception is coming right up with Classic Cakes whipping up some deletable dessert to sweeten this fusion Indian wedding! 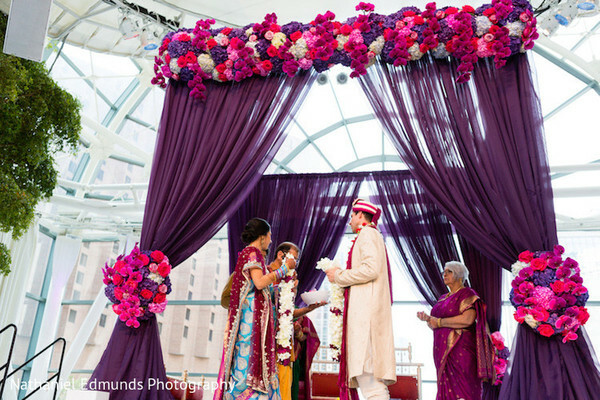 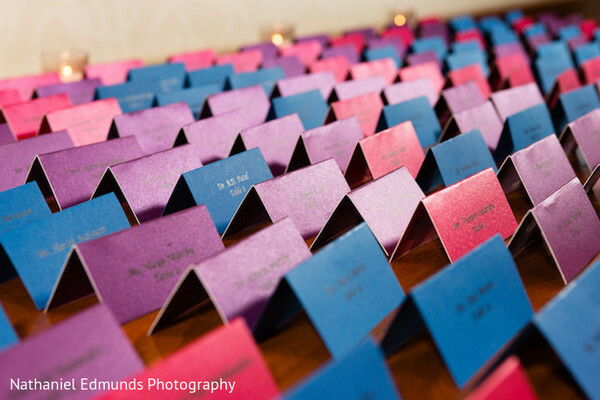 In the meantime, head into the gallery by Nathaniel Edmunds Photography.